This is about as modern day for a book as you can get, even mentioning Chris Tomlin in the story line who performed in the movie. I am guessing it is spot on with the movie! It really does sound like Melody Carlson based it on the movie, which seems to be a new thought lately with having a movie and book correspond and come out near the same time. I love it! Gives me the opportunity to read the book first and then see the movie or vice versa. I love seeing how the author is able to bring to life what I saw on the screen. I think it is much harder to use words to bring things to life than the pictures of a screen and Melody Carlson does an excellent job! 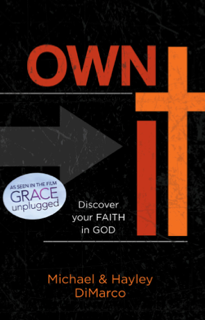 She shows us the struggles that Grace is having as she makes the big time, struggling to own her faith. I really think that in any career we can take our eyes off of Christ, to see what is in front of us and think we got there on our own accord. We get prideful and wishful for things and set Christ aside. This story was a great example of that. I enjoyed the side story of Grace's parents as they struggle with the unhealthy decisions that she makes and how it reflects on them, to the point that they feel it their fault she is falling away. Don't we all feel like that when our children out of their own free will make poor choices? It isn't our fault though and it is so helpful to see that modeled and played out in the book. Be sure to watch for the Movie release October 4th! This book is fantastic for you high school graduates and those leaving the nest. How can they make their faith their own rather than piggy backing on Mom and Dad? I had just that question for my college freshman, how will you Own It? How can you make your faith your own out there in the world. When you own your faith, fear and doubt and loneliness are cast aside as the creator of all pours out his love on you. It is also wonderful for those who have lost that passion for Christ, and need to return to their first love and truly make their faith their own. 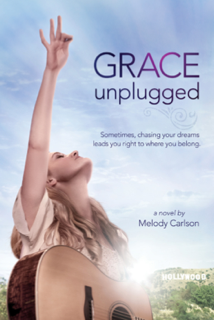 This book is based on the movie Grace Unplugged and does reference it at times. I do suggest reading the fictional book first so that you can see some of the suggestions and references and know how they apply. Enter to win Both Books!! I don't really understand this question. But after reading the review, I think a story about a Christian who gets pulled into the music world is realistic. I also think it is appropriate for those of us who have a child close to that age--to see how the fictional character handles the world temptations. It might give us food for thought in real world situations with our own child. I am very excited about reading the book and watching the movie. I think it sounds interesting. I think this sounds like a good book. Very relevant and important. I am interested in seeing a faith movie. Always important. I actually really want to win for my niece. This one would be perfect for her! I'm looking forward to the movie, but would like to read the book as well.